The vegetation that grows alongside creeks and rivers, known as the riparian–zone, is one of our most valuable ecosystems. Dr Samantha Capon from Griffith University’s Australian Rivers Institute (ARI) has led the production of a new book, which explores the inner workings of our native Australian riparian vegetation and provides a one-stop shop for researchers and managers of these important systems. Dr Capon together with co-editors Dr Cassandra James from James Cook University and Dr Michael Reid from the University of New England, launched the book, ‘Vegetation of Australian Riverine Landscapes’ in Brisbane last week (20 April 2016). Dr Capon’s passion for riverine vegetation and the ecosystems, which surround them, have been a driving force for her research over the past two decades. “Riparian vegetation plays an important-role in providing ecosystems services and has been recognised for some time as functionally significant for its capacity to provide habitat and food resources to terrestrial and aquatic organisms.” She explains. This collection of research explores the incredibly diverse Australian riverine vegetation, which exhibits an amazing capacity to persist and adapt to constantly changing and often-unpredictable conditions found across the continent. Furthermore, research has shown that the threat posed by human pressures and the effects of these on riverine vegetation have far-reaching implications for other biodiversity and ecological functions at large scales. 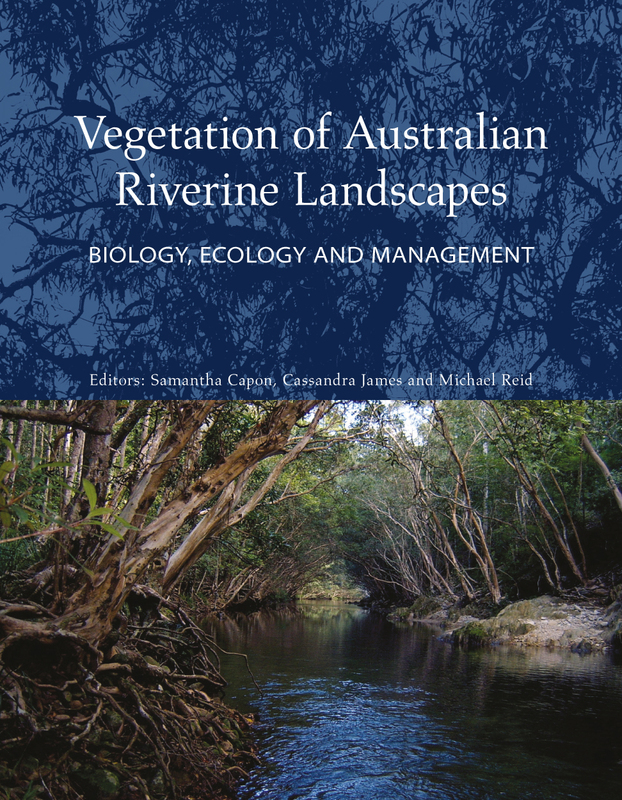 “‘Vegetation of Australian Riverine Landscapes’ provides a wealth of information on riverine vegetation and its proper management across Australia. In addition, it will also serve to greatly stimulate future research in addressing some of the more pressing knowledge gaps that we currently face,” Dr Capon concludes. Excellent to see it’s also available in digital format, thanks.